Containing almost 4,000 entries, including extended feature entries and biographies of key scientists, this authoritative A-Z covers all the commonly encountered terms and concepts in physics. This edition has been fully revised and updated and includes recommended web links for ... read full description below. 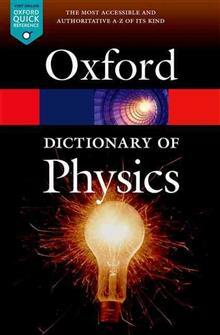 This is the most popular dictionary of physics available, and contains almost 4,000 entries covering all commonly encountered physics terms and concepts. It also defines many terms from the related fields of astronomy, astrophysics, and physical chemistry. 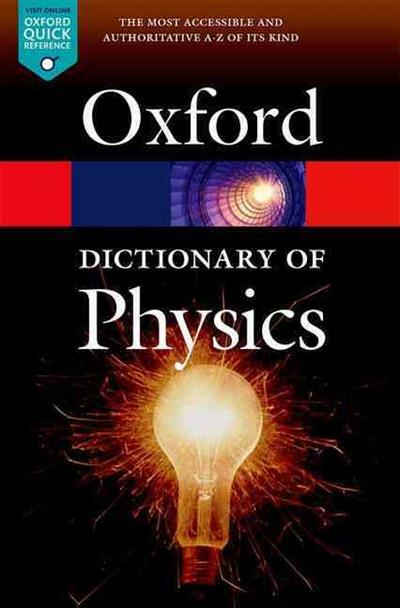 With over 200 new entries and full revision of the existing text, A Dictionary of Physics is as essential a reference tool as before. The dictionary is generously illustrated with over 120 diagrams, graphs, and tables and it also contains biographies of important scientists. Recommended web links are also included to provide useful and relevant extra information, and are accessible and kept up to date via the Dictionary of Physics companion web page. Appendices include SI units, the solar system, and the electromagnetic spectrum, plus a list of Nobel Prize winners and a chronology of key dates in physics. This fully revised and updated A-Z is an ideal introduction to the subject for anyone with an interest in physics, and it remains an indispensable reference work for students of physics and physics-related subjects (either at school or at university), and professionals. Richard Rennie, BSc, MSc, PhD has conducted research at the Universities of Aberdeen, Oxford, Cambridge, and California, Santa Barbara. His main interest is in the theory of the structure of matter. He has written a number of articles and reviews. He has contributed to several reference books including the Oxford Dictionary of Physics and the Oxford Dictionary of Chemistry. He wrote the Facts on File Dictionary of Atomic and Nuclear Physics which was published in 2003. He has taught mathematics, physics, and chemistry at various Sixth Form Colleges and is a Senior Invigilator for the University of Cambridge.